Lana is a self-described TCK or Third Culture Kid. She was born in Central Mexico to American parents, and lived there until she was about 12 years old, when her family moved to the States. There, finished up high school then on to college, graduating with an Associate's Degree in Office Administration. 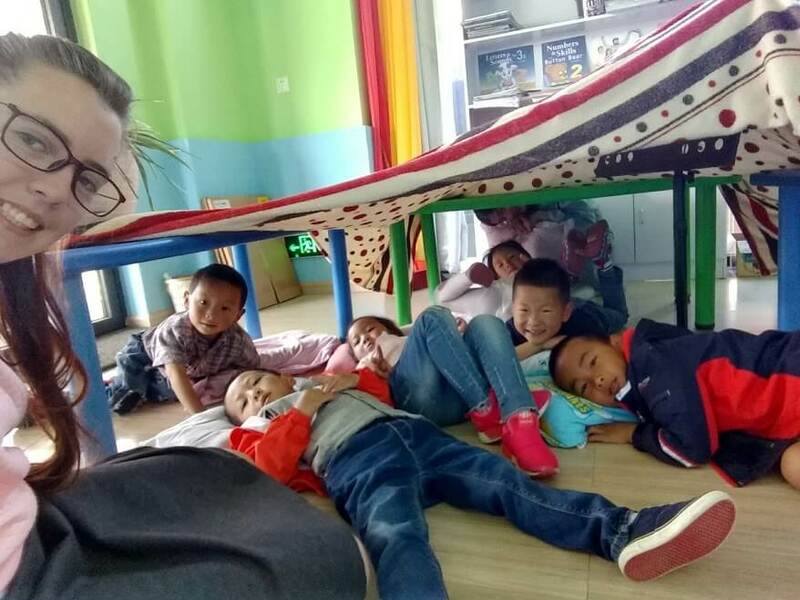 She took the 40-Hour BridgeTEFL Basic Certificate course is now an English teacher in China, working with young learners in the city of Lijiang. 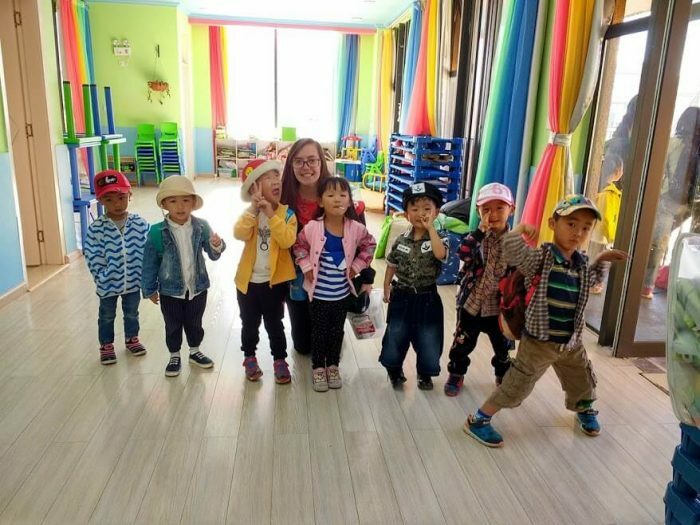 How did your path lead to becoming an English teacher in China? After college, I was in a relationship when I graduated and was planning out a life with that person somewhere in the U.S. Things ended up falling through with that relationship, so I was left trying to figure out where to go next in life. 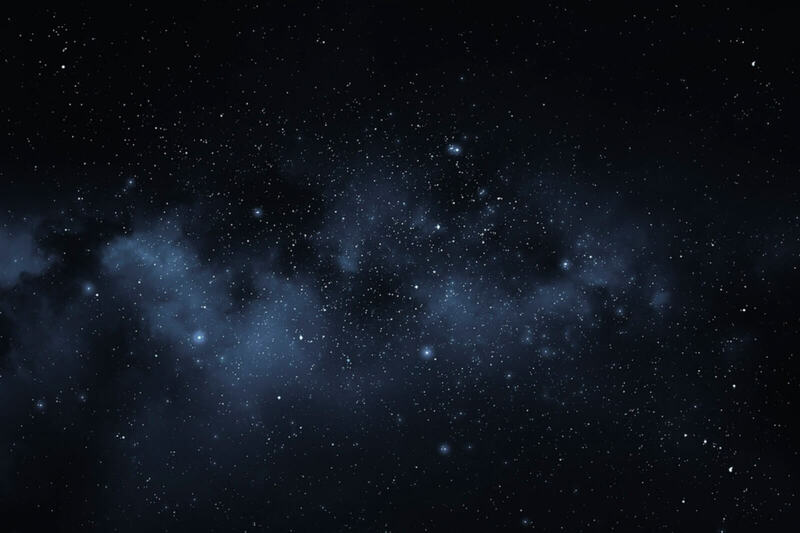 I had just graduated from college but was not satisfied with the field I was in, so I was looking elsewhere. A friend of my sister sent me a message on social media asking if I wanted to teach in China, and my first thought was, “Why not?” So I applied and was accepted for the position of K3 head teacher. I had worked with children all my life, so this seemed like a perfect opportunity. This was my first TEFL job and was the most incredible opportunity I could have come across. I am not sure where I will be going after this, but I am looking forward to the journey to get there. What made you want to teach in China, and how did you pick Lijiang? When I was 9 years old, I remember saying to myself, for no particular reason, “I don’t want to teach, and I don’t like Chinese food, so I don’t want to go to China.” And look what happened. I ended up at an international school in South West China. I was in my sister’s wedding with a friend of hers a few years back, and we kept in contact after that. I’m not sure how she found out about it, but she had been at the school for almost 2 years but was returning to the states, and the school was looking for replacements for her and a few other teachers, so I decided to apply. Things worked out, and 2 months later I was on a plane to China for the first time. Why did you choose to get TEFL certified and why the Basic Course? The school I was going to be working at required that I get my certification and referred me to the BridgeTEFL program to get that certification. I figured I would start with the Basic Course and work my way from there when I got the chance. I thoroughly enjoyed the course and am looking forward to the next one I get to go through. How did you find your teaching job in China? My sister's friend sent me a message on social media asking if I would be interested in teaching English in China, and my first thought was “Why not?” The school she was teaching for was looking for replacements for her and a few other teachers, so I applied and was accepted for the position of K3 head teacher. The school I worked at was an international school where we taught English to Chinese students, as well as teaching English and Chinese to students from international families living in the area. I was the K3 head teacher and worked with 9 children ranging from two to four years old, from 8:15 am to 3:30 pm. We had a lot of play and interaction time, as well as some class time for them to get used to a classroom environment. They all came to school not knowing any English but they grew and learned so much throughout the year. On a normal day, we read books and played with different things to learn about letters, numbers, shapes, and many other things kids that age should be learning. We would do all kinds of art projects and learning projects. I tried to make sure every day involved fun activities for the students. Could you share a memorable experience you've had in China so far? I had one little boy in my class who struggled with making eye contact. I believe he was just very nervous because I was the first white person he had ever seen. But as we went along in the year, I would catch him looking at me every once in a while. The more he learned during class time, the more confident he got. It was so exciting the day he came up to me with a toy, smiled so big, and told me what it was in English, and ran away giggling. From then on he just blossomed into the cutest, smartest little boy with the biggest heart. Watching him come out of his shell was probably the most exciting thing for me. What recommendation do you have for someone who wants to be an English teacher in China? My recommendation would be to get into the culture and meet people as soon as possible. Teaching in China, from my experience, is an incredible opportunity. But don’t waste the opportunity to learn as much as you can while you’re there. Make an attempt to try every new thing at least once. Last, of all, SMILE AT EVERYONE! You may not be able to speak their language fluently, but smiling is a language that everybody can understand. From here, I am looking to get into the culinary industry, and to continue traveling the world helping people in need. I would love to use my culinary skills as well as my TEFL degree to work with people in high-risk countries. I would love to help them develop skills they can use to keep their families together. Above all else, I want to help keep families together and would love to be a small part in making that happen. 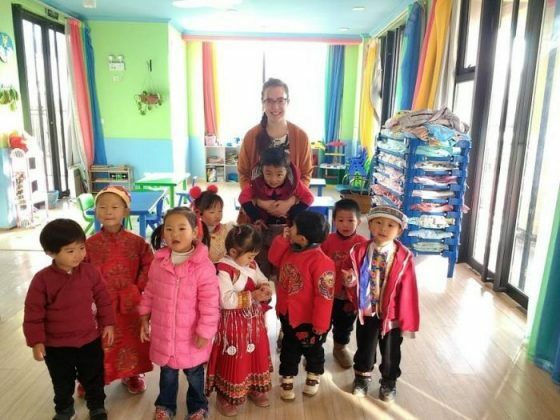 Interested in learning more about the TEFL experience in China? Click here to read a TEFL overview for this country. 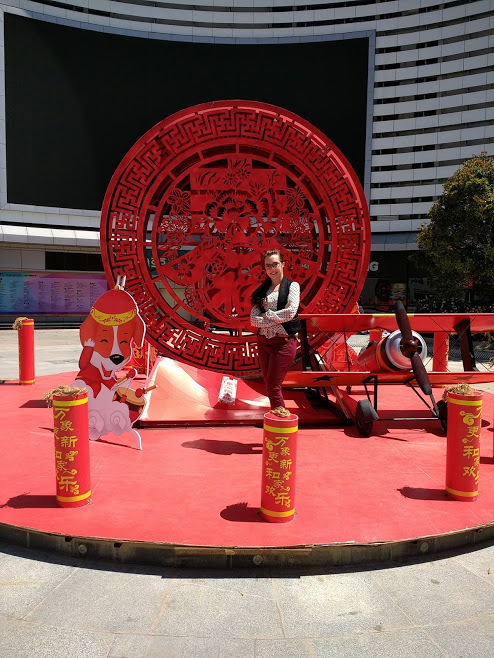 Or, check out this interview with another teacher in Asia- Lisa, in Taiwan!